I should be happy. I should be excited about life. I should know what I’m doing by now! For heavens sake, where did Akona’s mojo go? Moving to Cape Town was for a reason. A reason that I though was solid at the time. I had a plan, vague, but a plan nonetheless: I was going to let whatever creativity I thought I had inside of me become unchained and let the results flourish and soar! 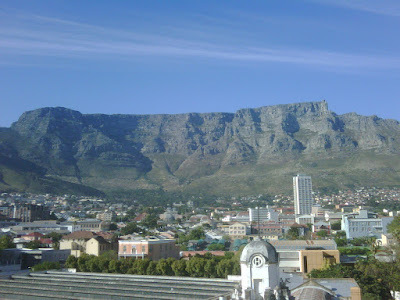 Where better to do in that than in Cape Town, I asked myself? It was an impulsive move; searched online for a place and a job. Found both. Took my savings and poured them into paying for deposit and rent on my sweet apartment, getting to the fair Cape with my belongings. All this within a time span of 2 weeks. I got a job in advertising (below the line, so not really advertising), I liked for about 2 minutes, but stayed for 7 months with the agency, quit on a whim without a plan just followed my wonky instincts. Now, going for broke, loving O mag, trying to get my old car from Joburg to CT so that I can actually be productive in the job of a fashion intern, doing a lifestyle report on Sentle’s show on Metrofm on Saturdays (quick run down of CT lifestyle events), trying to be creative and believing in myself, failing miserably at remembering what it is I actually want to do with my life and overall feeling very sorry for myself. This is not good. Where did mojo go and when will he be back? What is my purpose? When will I dream again? Screaming on the inside. Feeling broken.